Portable and powerful, this air compressor will help you everything from balloons to truck tyres with ease. The Certa Big Wolf Air Compressor is an innovative, user-friendly device that you can count on to help you out of sticky situations. Its portable design makes it easy to keep in the boot of your car or carry with you wherever you go, with a built-in adapter and extra power cable for added convenience. Whether you’re pumping a ball, an inflatable mattress or a tyre, the turbo-powered air capabilities Certa Big Wolf Air Compressor is able to handle it without breaking a sweat. It automatically stops when the perfect pressure is reached, doing the thinking so that you don’t have to. Enjoy the convenience of the 3.2m power cable when operating your air compressor. 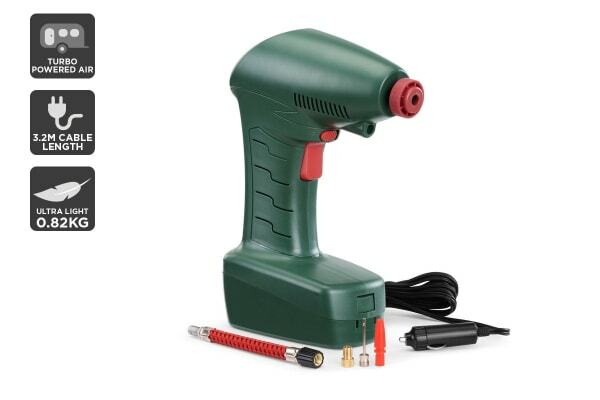 The lightweight design of this air compressor allows for convenient portability and operation. 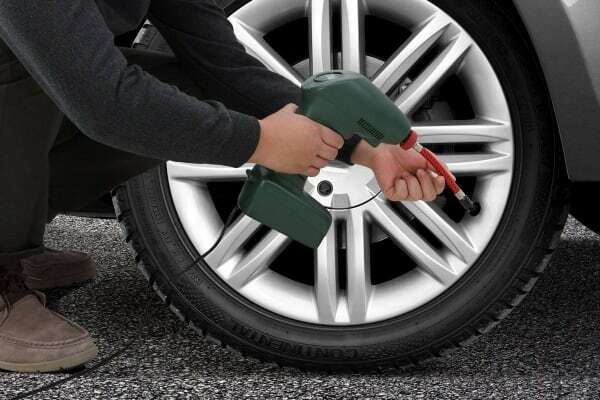 The air compressor uses turbo powered air to reach optimal pressure, making inflating tyres easy.